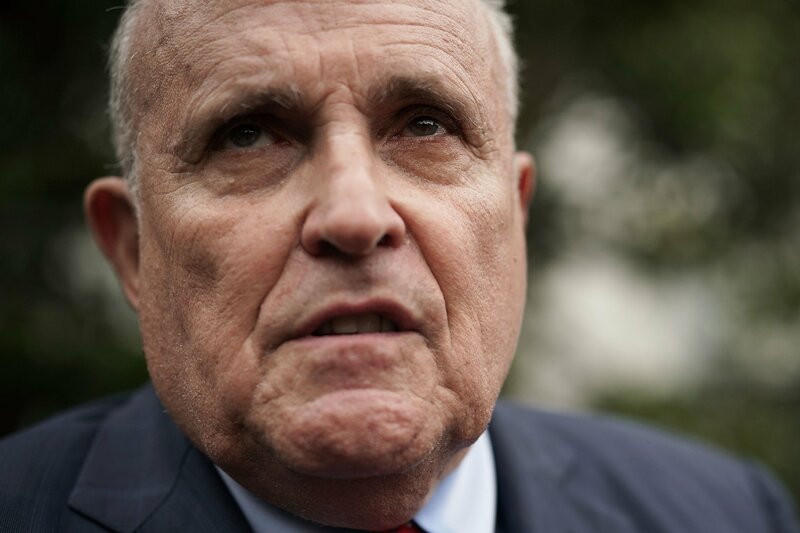 President Donald Trump’s lawyer, Rudy Giuliani, has blasted those who leaked information about special counsel Robert Mueller’s report on the Russia investigation. On Thursday, The New York Times reported that some of Mueller’s investigators in the Russia probe had told associates the full findings of the confidential report are not properly portrayed in Attorney General William Barr’s four-page summary of what was a book-length document. According to Barr’s summary, Mueller did not establish that there was a conspiracy or coordination between members of Trump’s 2016 campaign and the Russian government in the latter’s attempts to influence the presidential election. Moreover, Barr stated that Mueller’s report did not conclude the president committed any crime, though it explicitly did not exonerate Trump on obstruction of justice. Mueller laid out the evidence and deferred the complex prosecutorial decision to Barr and Deputy Attorney General Rod Rosenstein, who concluded the president did not commit a crime. But Barr is under pressure to release in full Mueller’s report along with any supporting evidence uncovered by the special counsel’s investigation. The House Judiciary Committee on Wednesday authorized subpoenas for the report if Barr does not release it to Congress. Barr has said he is working to release the Mueller report at least partially during April. But Democrats and Trump critics are frustrated by not having access to the report to draw their own conclusions from it as the president falsely declares himself totally exonerated by it. According to the Times and a similar report in The Washington Post, Mueller’s team had prepared its own summaries of the final report with a view that they could be made public. House Judiciary Committee Chairman Jerry Nadler, a New York Democrat, wrote to Barr on Thursday demanding to see correspondence between the attorney general and Mueller’s team regarding the report. He also said Mueller’s summaries should be made public. Nick Akerman, an assistant special prosecutor in the Watergate scandal that brought down President Richard Nixon, told MSNBC on Wednesday that Mueller investigators may have leaked to the Times as a warning to Barr.